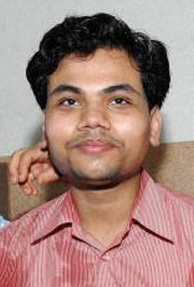 Dr. Tathagat Avatar Tulsi, a Patna-born child prodigy, becomes the youngest professor at Indian Institute of Technology-Bombay at the age of 22. He is set to join as an assistant professor in the Department of Physics from next week. He had completed his high school at the age of nine, earned his BSc degree at 10 and M.Sc at the age of 12. At the age of 21, Tulsi completed his doctorate in Quantum Computing from Indian Institute of Science. Dr. Tulsi had to turn down offers from Waterloo University in Canada and the Indian Institute of Science Education & Research (IISER), Bhopal to come and teach at IIT-B. In 2003, the prestigious Time magazine named him among the world’s seven most gifted youngsters, though he went into a shell after an international delegation called him a fake prodigy in 2001. Tulsi said he is going to write to the Limca Book of Records to include him as the youngest faculty member in the country.